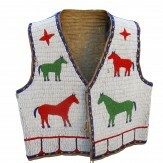 Pictorial beaded vest featuring red and green horses. From the collection of John O. Behnken. Circa 1885. Red white-heart, green, white, greasy yellow and blue beads on hide. The hides shows indentation from the beadwork and good consistent wear. 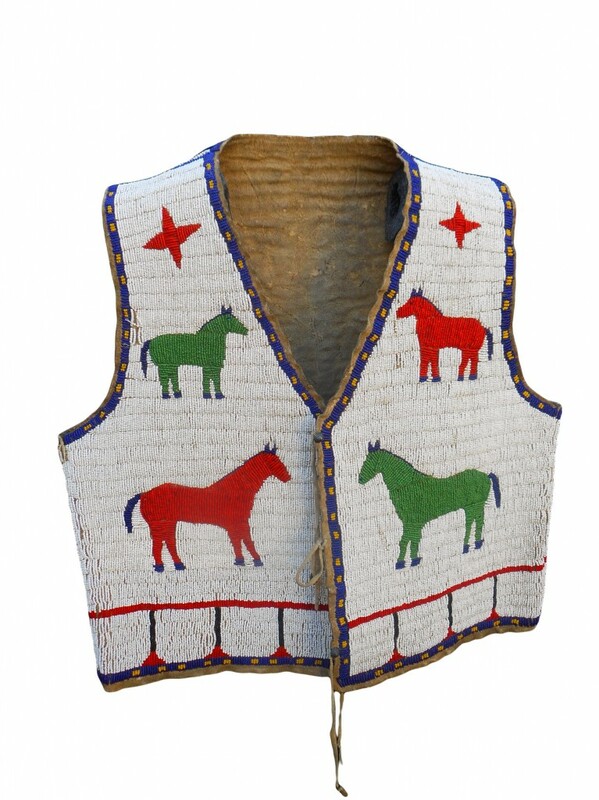 Early Navajo ingot buttons were used as an accent on the leather ties - most are present, with a few missing. 19" wide x 20" high; one small seam split on one side below the arm that could be restored easily. 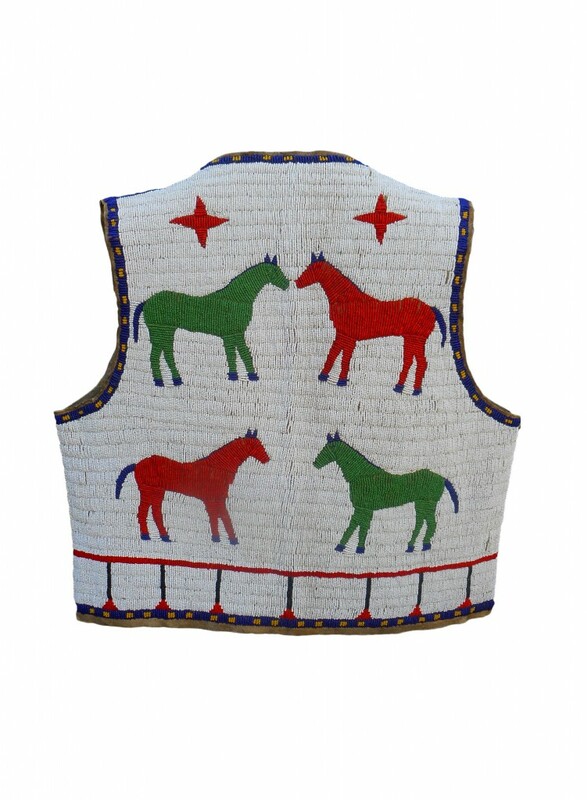 The vest features strong horse imagery, with morning stars above them, and a geometric border.